The industry of Assets Under Management (AUM) has seen sweeping innovations in the past decade. With the emergence of trade finance as a somewhat appealing asset class amongst institutional funds, pension schemes and family offices, it become an interesting prospect to a broad suite of investors. With the rise of numerous innovative investment structures in 2018, from algorithmically driven matched betting by Profit accumulators to accounts receivable securitization through SPVs, Trade Finance Global explores the potential for trade finance asset classes in 2019. 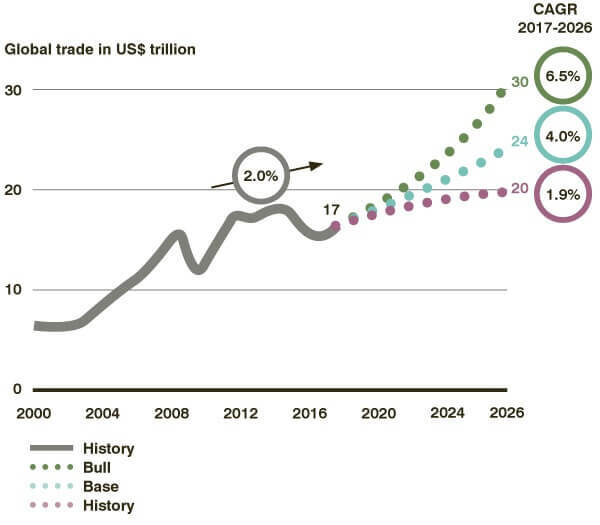 Trade flows are predicted to increase by around 4% per year according to the BCG Trade Finance Model, with commodity trade finance (CTF) a key driver of this, which accounts for around a third of the total trade finance market. Many blame the global economic crisis of 2008 as a reason for the estimated $1.5tn trade finance gap, as consistently estimated by both the Asian Development Bank and the International Chamber of Commerce, which shows that MSMEs in emerging markets are hindered by growth due to the lack of trade finance. However, the opportunity set for commodity trade finance as an investment asset class, as well as the sizeable gap in trade finance, leaves an opportunity for non-bank financiers. 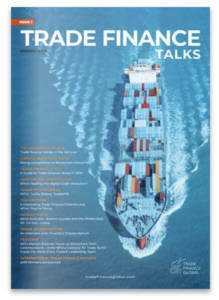 Greenwich Associates produced the research publication: Trade Finance: A Promising New Asset Class back in March last year, claiming the net return on commodity trade finance, a $130+ billion industry, lies at 3.5% to 5% net returns. 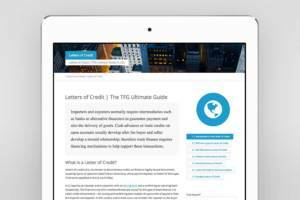 This is also supported by the Trade Register, an International Chamber of Commerce initiative which looked at typical default rates within import Letters of Credit, showing that weighted default rates were at around 0.38% on average, similar to default rates of other comparable losses. Trade finance seems to be developing as an attractive asset class for investors as it remains fairly low risk according to numerous studies and remains fairly involatile. When comparing returns and performance to stock markets and bond yields, the stability and uncorrelated nature of trade finance could make this a sensible addition to a portfolio that is diversified and hedged. Further to this, additional products which offer sophisticated securitisation through special purpose vehicles can clearly offer some form of legal protection against default by treating receivables as off-balance sheet. 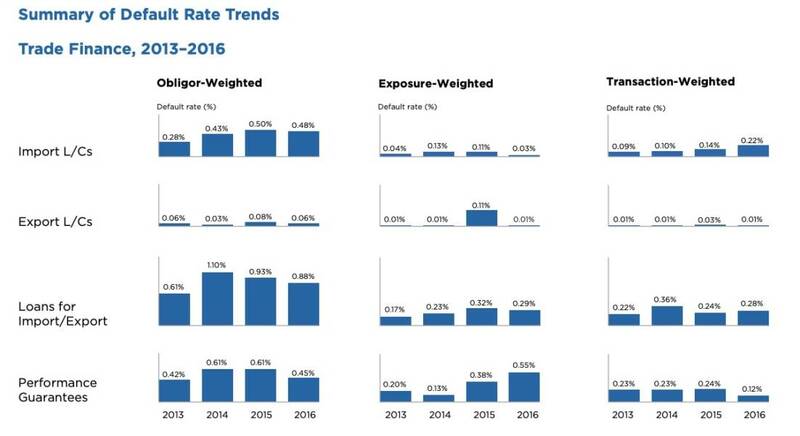 That said, while trade finance shows signs of attractive yield, understanding the risk and default potential is important to investors. 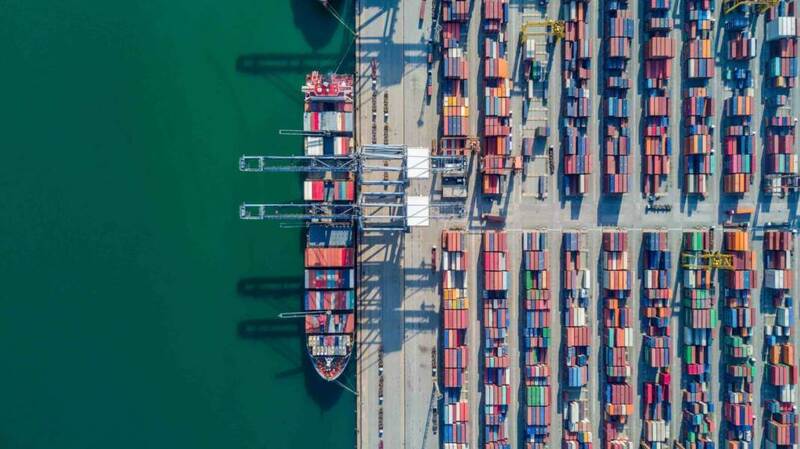 The complex, cross-jurisdictional nature of trade finance is important for investors to understand, and often misunderstood for many practitioners. Understanding the legal situations under which ownership of goods is transferred from party to party when importing or exporters across different geographies is critical, as well as allowing for risk mitigation through hedging, insurance and due diligence. Financial crime and money laundering is another oversight which is rife within the trade finance industry. Know your customer is now often extended to know your supplier, supplier’s supplier, and the goods. As with most types of investment, it’s important to be comfortable with the risk profile of the products you’re portfolio comprises. Editors note: Past performance is no indicator for the current or future development.